Look, it’s 100% possible to make some real wealth, even get rich in real estate investing. Whatever your definition of “get rich” may be, you can accomplish it with real estate. There’s opportunity to earn both monthly passive income and large chunks of cash during the life cycle of owning a property. But, you need to know what you’re doing. And we constantly see beginners make mistakes because they don’t follow the basics of getting some education, then finding a mentor and then following a system. To cover all the mistakes we see would take weeks and we’ll keep adding articles to address various examples of things to watch out for. 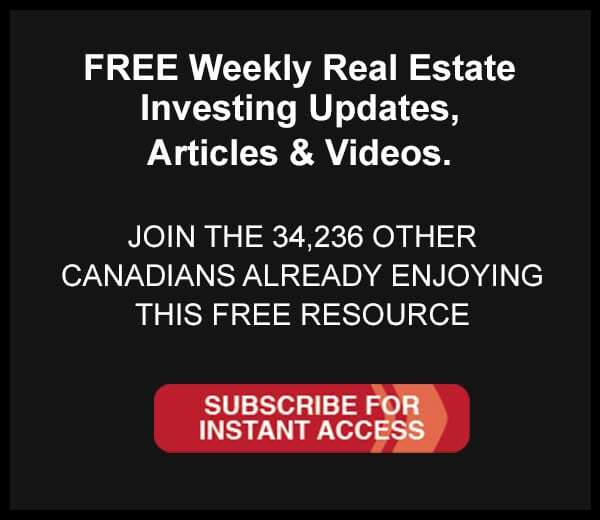 For this article we’ll focus on one of the most important aspects of real estate investing … advertising and filling your property with a tenant. After all, having someone pay you money every month is kind of the idea. That’s one of the important ingredients if you are going to make it in real estate investing. Anyone can take a project to 90% completion. It’s a real pro that finishes the job. And it’s that same pro who gets to reap the rewards of a finished project. Let’s say you advertise your property for a week in the local paper. Towards the very end of the week you line up a tenant for your property and set a date two days later to sign the lease and pick up some cash as a deposit to hold the property.You are excited and to save a couple of hundred dollars you stop advertising in the classifieds for the next week.The meeting day rolls around and of course – it happens.One of you has a kid that is sick, or a dog that needs surgery, or a car that isn’t behaving and you need to reschedule. Then for no reason whatsoever when you try to meet up on the agreed upon rescheduled day the possible tenant vanishes. Calls aren’t returned, their voice mail box is full and their girlfriend, who you called because you were smart enough to get a back up contact number, has no idea who you are. It’s your lack of sales experience and knowledge that is the problem (a huge topic for another time). You focus on the negative and it’s a downward spiral from there. We’ve seen this happen to amateurs over and over. And it ends up being so scary at this point some people just break down and decide they can’t make it in real estate investing and leave the game all together. Bad idea, but to each their own. The professional investor keeps advertising until the lease is signed and there is cash in their pocket. And not just on free websites like www.Kijiji.ca or www.CraigsList.org. They’ll actually spend the money to keep a well written classified ad in the papers and on that paper’s website. You can’t make any money in real estate investing without getting things like leases actually signed. But the pros don’t not focus on that. Instead they focus on having 3 or more possible backup tenants in the wings. Climbing The Mountain – The Blue Mountain! We always meet at locations outside of our office when we’re getting ready to brainstorm or evaluate our investments and decisions. There’s something powerful about getting away that gives you clarity of mind. Here’s Nick hiking up Blue Mountain to do exactly that. Have you ever been in a position where you just can’t believe how you got yourself into such a mess? You know, things are going wrong, nothing’s working as planned? Real estate investing produces those kinds of days. Actually, any business produces those kinds of days, they just seem to pop up with real estate investing on some sort of scheduled, reoccurring pattern. And the size and scope of the “crappy day” will often increase over time. I remember, about ten years ago, closing on a property with Nick. On the actual closing day he was in Europe. In Paris, France … on a tour through Europe. I remember that day vividly because the morning started off with our Mother in a panic. Nick had called from France to say he landed and was OK but there was a hiccup with his accommodations and he hiked his way into downtown Paris to try and find somewhere to sleep … the trip, the confusion with where he was staying and the hike into town had left him exhausted and hungry. He found a bakery to buy a loaf of bread and headed to a park to lay down and get some rest. But before he did he found a public restroom where he could “freshen up”. It was one of those restrooms where you have to pay with a few coins to use them. You know the kind, after you pay you have like 5 seconds to enter the thing before the door locks again. Upon entering his backpack got stuck in one door and somehow another door slammed into his face … hard. He smashed his nose and it began bleeding badly all over his shirt, his pants, his hands and he was now stuck … sandwiched between these two doors because of his large backpack. Nick’s a big strong dude, so he somehow ripped his way out of the situation and then proceeded to use the shirt he was wearing to stop the bleeding. After the shock of the event (I still laugh every time I hear it….what else is a brother for?) he lay down on a bench or ledge or something to catch a quick nap. Apparently he tied his backpack to his body somehow so now one would steal it. I’m actually laughing as I type this! I can only assume he was mentally and physically exhausted. A short time later he woke up to find himself in the middle of a mob of people … apparently the park was part of the route for the Gay Pride Parade in Paris. And he was right in the middle of it. Backpack, bloody shirt and from what I understand, in no mood to be part of a parade. So needless to say by the time he called home to let his caring mother know that he landed in Europe safely he had a lot to report. “Crap had hit the fan” for him that morning in Paris and he was not enjoying it. Looking back it makes for a great story though, doesn’t it? Later that day I got a call from our Lawyer to say our rental property had closed. And the literally, an hour later, the tenants we had inherited called to let me know that the grass needed cutting, the microwave was broken and there was some strange bedroom door handle that need fixing ASAP. I was nervous and no idea how to handle any of this … so I just agreed to everything they said. I guess this was some sort of payback for me enjoying Nick’s pain earlier in the day. For me, that moment, as small as it seems now, was the crap hitting the fan. I took apart my own lawn mower and stuffed it into the trunk of my Honda Civic … my brand new Honda Civic. A friend called at about the same time and I explained what was going on … he mentioned he had won a microwave at a stag or something and that I could have it. I then packed up my toolbox and headed down to the property. When I got there I was too scared to even talk to the tenants so I just assembled my mower and began cutting. I didn’t even say hello. It was interesting to watch the tenants peak at me through the windows as I peaked back at them. LOL, I can’t believe that’s the way it went, but that’s exactly what happened. I then finished the grass, knocked on the door, and barely said Hi as I walked into their kitchen to plunk down a new microwave on the counter. Next, I asked where the door handle was that needed fixing and with my limited handy man skills proceeded to patch up some sort of fix for it. The entire time one of the tenants was watching my work over my shoulder. It was horrible. I was sweating … badly. The American Music Awards were on earlier this week and my kids caught Bieber Fever. I’m not sure what exactly ‘Bieber Fever‘ is other than it has different effects on different people. For instance, my son claims he doesn’t like Canada’s own Justin Bieber – he’s from Stratford, Ontario. But one look at his current hair style would have you believing otherwise. It’s shaped exactly like Bieber’s. My younger daughter runs around the house humming ‘Baby Baby‘. So her ‘Bieber Fever’ is very different than my son’s. She apparently likes the guy. My wife seems caught in the middle – she’s somewhat mystified at his popularity but then recently initiated a ‘Bieber Fever’ dance in our living room that had all of us jumping around to his songs. And I find myself trying to explain to my son that just because all the boys in his class have the hate on for Bieber there’s no need to dislike guy . From what we can observe the kid is a hard worker, dedicated etc. There’s a lot to learn by observing Beiber’s rise to the top of the MTV mountain. So my own ‘Bieber Fever’ finds me defending the kid. And because Justin’s so busy making music videos and making young girls faint we thought it we’d take this opportunity to summarize of few of the global economic ‘fevers’ that he should be aware of. Because although he’s having fun right now he should prepare for a different world ten years from now. POINT #1: Hey Bieber man … take a few minutes to recognize the importance of what just happened to Ireland this week. I know it sounds boring but it’s a pretty big deal. Read some of the highlights here. This is not a fire drill. This is the real thing. And there’s more fun right around the corner. According to the International Monetary Fund (IMF) the Gross Domestic Product of Greece was $331 Billion in 2009. Ireland $221 Billion. And coming up is Portugal’s debt problems. Their GDP? $233 Billion. But guess who’s on the horizon? And that’s a big deal Bieber. Why? If their economy goes wonky then there’s a big elephant in the room because their GDP is $1.468 TRILLION. Sheesh. To save an economy of that size the Eurozone better just start firing up the printing presses right now. Bottom Line: Europe is in a financial mess unlike anything anyone’s ever seen in a little while … a very long, little while. Bottom Line for Bieber: Keep one eye on your music videos and another eye on where your financial dudes are telling you to park your money. POINT #2: We’d also tell the Bieber man that this all has implications to Canadians. He’ll likely notice over the next twelve months that his friends and family will be reading and watching more about ‘budget measures” and “getting Canada’s deficit under control” up here on CBC and in the Financial Post. Just like our Finance Minister, Jim Flaherty, did this week in Oakville. Why the sudden discipline talk in Canada by our government after years of stimulus spending? Because Jim Flaherty doesn’t want to go down as the Finance Minister that causes the IMF to come into town and force “austerity measures” (fancy term for ‘control your spending people!’) on us nice Canadians. It’s an epic battle for him though. At the same time that Flaherty is talking budget controls the Bank of Canada has interest rates at historic lows … encouraging people to spend, borrow, to have fun! It’s like the left and right hands of the country and giving different hand signals. The Secrets of a Baseball Iron Man: Cal Ripken Jr. So we’re in Baltimore, Maryland at a really practical and useful conference which is rare enough in itself and we also got the opportunity to listen in as Cal Ripken Jr. reflected on some of his achievements. We’re not baseball fans … at all … but you’ve got to respect a guy who played 2,632 games without missing a single one. That’s seventeen years without missing a single inning or at bat. 17 years! He beat the previous record, held by Lou Gehrig, by 502 games and finally removed himself voluntarily from a game to end the streak. The game in which he broke Lou’s record has been voted the most memorable game in Baseball’s history. Not bad eh? During his chat Cal shared that the obvious #1 question he gets is, “What’s his secret? How did he play 17 years without missing a single game?” Not for injury, having a “bad day”, family issues, disagreements with Managers or teammates … not for anything. And guess what his the answer is? Gimme a break. We want to hear how you repeat positive affirmations, eat right, work hard, have a positive mental attitude, rub your lucky silver coin before every game … give us something! “I just liked playing.” Come ON! Cal decided he needed to answer that question to help out Derek Jeter and everyone else who has been asking him about his incredible streak. He sat down and wrote out the things that he felt served him well over the years. Right attitude, a personal mission statement, and an honest and simple approach of being ready and available for his role. In the early 1990’s he was struggling badly and the media was calling him selfish for not pulling himself out of some games to give someone else a chance to help the team. 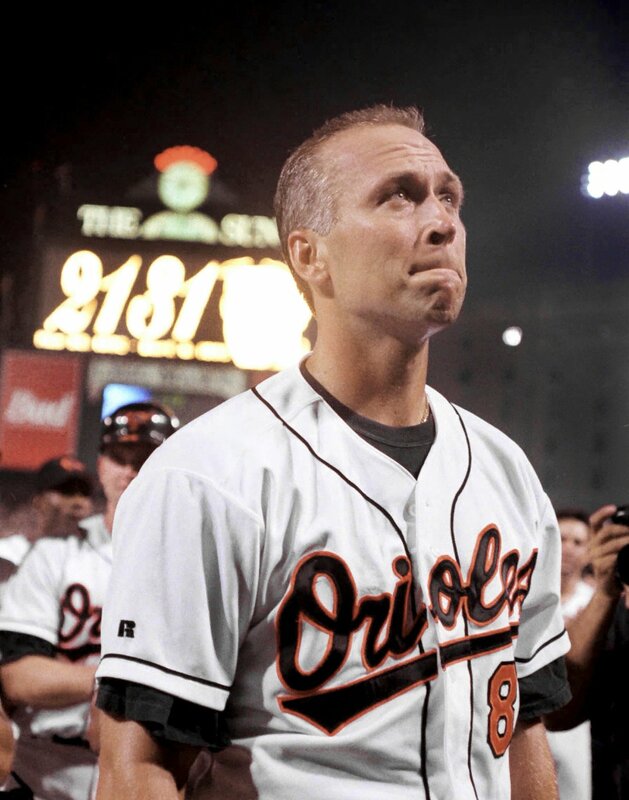 He was depressed about it and considered it until a veteran pitcher on the Baltimore Orioles told him on the day he was going to pitch that, as a pitcher, he only got to play every six days, and he wanted and deserved to have the very best players on the field with him. And that it would be selfish to give into the media critics who don’t even play the game. That single talk saved Cal’s streak. The critics went on criticizing. And interestingly enough, a few years later the same critics were upset that Cal may actually miss a game and break his streak because of the birth of his son. He didn’t end up needing to … but the lessons is that you can never be right in the eyes of critics so don’t try to be.